We are officially home from vacation and even though we had a blast, it is so nice to be home. I wore this look last weekend and packed it again for our trip and I have to say I'm obsessed. You can never go wrong with an all black outfit! 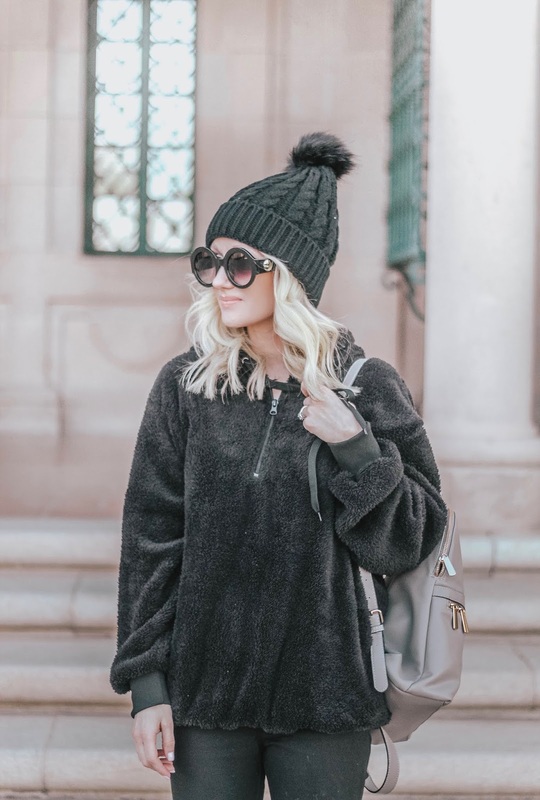 It's cute and casual and most importantly...comfy! 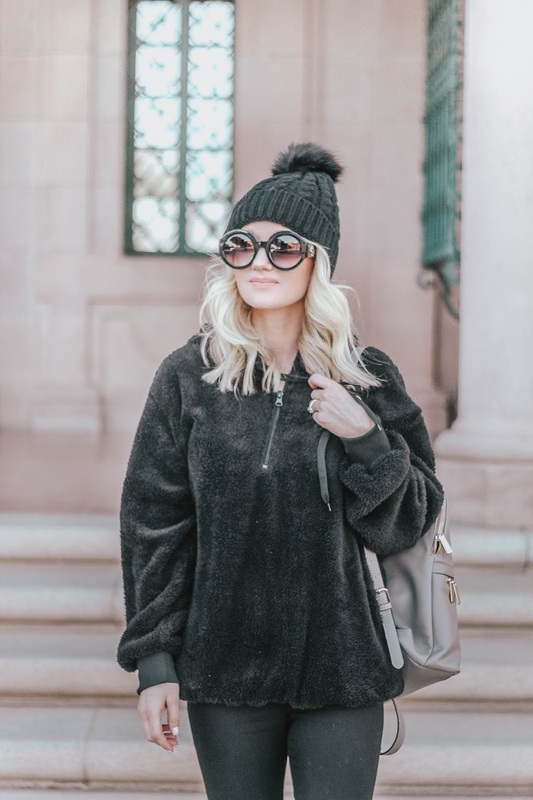 My black sherpa (that I also have in two other colors) is only $25 and comes in 5 different colors.